As one of the very few audio specialists in the world to design AV receivers, Arcam has developed a reputation for balancing a finely honed technical specification with world class audio performance. The Arcam SR 250 quite simply, one of the highest performing AV receivers Arcam has ever made. There are many music lovers who want an amplifier that sounds as good as the best separates in stereo but also want all the connectivity and flexibility that a networked modern AVR delivers. We are proud to announce the Arcam SR 250 our first 2 channel high performance AVR. Offering a level of sound quality that is far above competing receivers, this AVR is an audiophile product by any measure. The Arcam SR 250 delivers stunning realism with everything from heavy-weight blockbusters to your favourite concert video. Further enhancing the performance of the new Arcam SR250, Arcam has also included the very latest room correcting technology from Dirac Research. 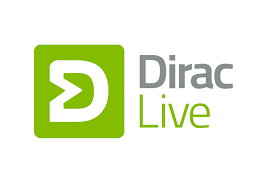 Dirac Live® for Arcam gives the dealer the ability to tune the acoustic performance of the system to any room situation giving the listener the best possible experience in their own home.